Goldilocks and the Three Bears retells this traditional, well loved story through a very simple script and a selection of bite-size songs. 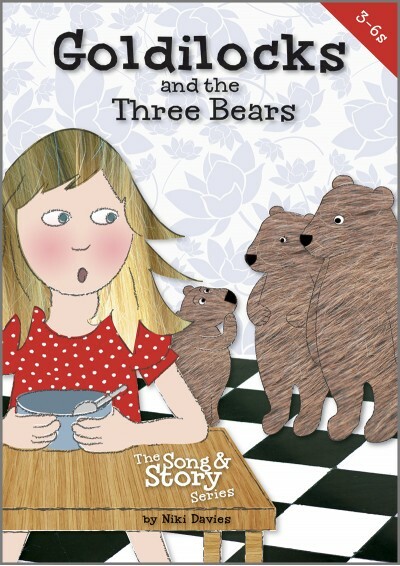 Far more than just a collection of songs, this Goldilocks and the Three Bears songbook contains a delightful combination of 'song and story' that will enliven and enrich learning, both in music and literacy. Goldilocks and the Three Bears has been written for use in kindergarten and at home, and will give younger children a manageable experience of performing a mini-musical. 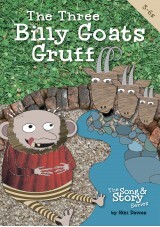 we used this with our nursery children. The songs were catchy and the children loved learning them, we had 40 children all acting and taking part and it was great fun thank you. The children in Key Stage 1 are singing their hearts out. This is attractive and catchy music, popular with Foundation Stage and Key Stage 1. nIt worked very well as a performance with movements evloving naturally and enhancing the children's awareness of rhythmic movement. nThe words and music are perfect for allowing the opportunity for children to use facial expression to communicate the meaning of the words.nWe performed it with Jack and the Beanstalk, similalry wonderful and so brilliant for teaching the concept of pitch. Bought this for year 1 and they loved it. Really consolidated all that we had been teaching in literacy and music lessons, even carried it on to numeracy as well. well worth a buy. 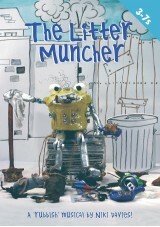 I love this book but more than it I love the songs. I have been playing and singing them with my little daughter. She is having lots of fun with this. Good kids songs are very hard to find and this is a good place to get them.